The Jewish cemetery in Kalvarija - southern Lithuania - has just been recorded by Ralph Salinger of Kfar Ruppin in Israel. Born in the UK and raised in New Zealand, Ralph lives on Kibbutz Kfar Ruppin. He has researched his family history and discovered that the SALINGER family lived in Vilkaviskis (c1805-1941). To learn about the project, go to Ralph's site, JewishVilkaviskis.org. Working with Ralph is Wayne N. Frankel, Ph.D., a professor at The Jackson Laboratory (Bar Harbor, Maine), and editor-in-chief of PLoS Genetics, an open access research journal. Dr. Frankel's ancestors lived in Vilkaviskis for many generations prior to the 1902 emigration of his great-grandfather to New York. His cousins lived in Vilkaviskis until World War II; some survived, others did not." His assistants on the ground in the area include Antanas Zilinskas, Vilkaviskis Regional Museum director; Algis Vaskevicius has a deep interest in the subject and his superb knowledge of English has been a wonderful source of support; and The Honorable Mr. Algirdas S Bagušinskas, Mayor of Vilkaviskis and his staff. See Ralph's site for contact information for these individuals. In September, Ralph visited the Kalvarija Jewish Cemetery and with the help of middle-school students, the names of Jews buried there were deciphered. The stones were cleaned with shaving cream, which is not recommended by cemetery preservationists as it can destroy stones and inscriptions. In any case, the method was used and the stones deciphered. The International Jewish Graveyard Rabbit hopes that the visitors thoroughly washed off the foam from the stones. One after another the names of people known from the archives were revealed to Jewish history researcher Alvydas Tottori. In a day and a half, Ralph - with his helpers - transcribed some 80 stones. 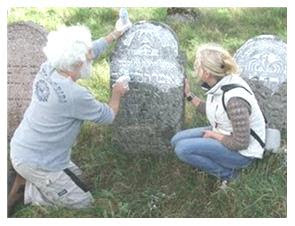 At the link above for the Vilkovishk site, see photos of the stones and learn more about Ralph's project. See the names of the researchers and the families they are looking for here. Vilkovishk is located in southwestern Lithuania on the Seimena River, a tributary of the river Sesupe, about 18 km from the border with Prussia (now Russia) and 3.5 km from the St.Petersburg-Berlin railway line. In 1660, King Jan Kazimir granted Vilkovishk city rights, making it one of the oldest Lithuanian towns. Jews had begun to settled there in the 14th century, but the old Jewish cemetery had stones dating only from 1575. Queen Bona (wife of King Zigmunt August II) donated timber to Vilkovishk's citizens for building prayer houses at the beginning of the 16th century. Jews also benefited from this and the synagogue was built in 1545 and was extant until WWII, after several renovations over history. Sephardic Jews also settled here and the synagogue contained several Torah scrolls the refugees brought with them from Spain. They had their own cemetery. In the early 18th century, Jews from Koeningsburg (Prussia) were buried in Vilkovishk because they were not permitted to construct a cemetery of their own. In the mid-1750s, refugees from a cholera epidemic in Vizhan, about 35km south of Vilkovishk, settled in a nearby forest - not allowed to enter the town - and the Jewish community supplied them with food. Many died and were buried near the forest. Their descendants settled in the town and remained there until the Holocaust. There is much more detailed history, read it at the link above. -- See the list of available Vilkovishk databases here. -- See the photo library here. -- See the site's index page here for all the pages on the site, including maps, photos of stones, various aspects of the project. -- And see the related blog here, with even more information. 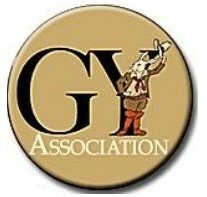 A truly fascinating site for those with ancestors in the area, or to see how similar projects can be organized.